Remember the dangerous notebook I have near the bed?... that when I think of things I sketch down?... here is one of them. I chose these colors because I just love the Crumb Cake with Cherry Cobbler.. though for this recipient I should have used Daffodil Delight, since she is a YELLOW fan! 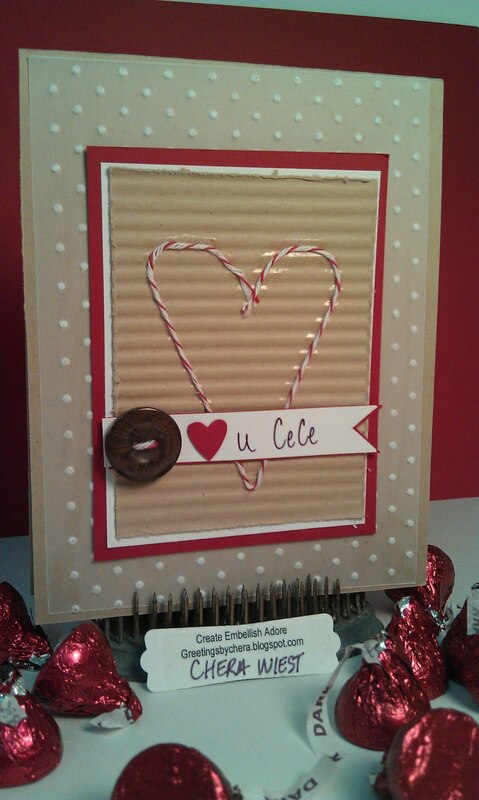 ﻿I am not sure if the card is cool enough, or the fact that there are chocolate kisses surrounding it - but it got a "like" on Facebook, so in my book, I scored a home run! She and her brother are going to see the Harry Potter movie at 1 am on Friday morning with my sister... thankfully, since I am not a fan.. so when she gets home, this will be waiting - maybe with some of these chocolates - on her pillow! 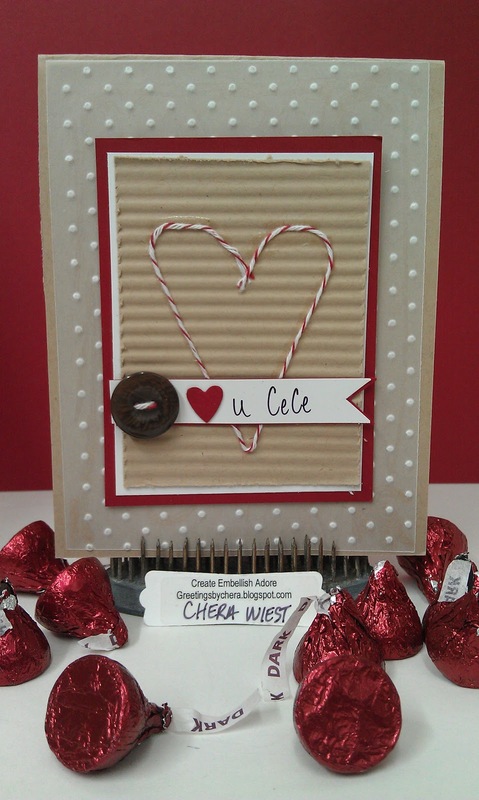 Love your card (and the chocolate kisses around it too! ).